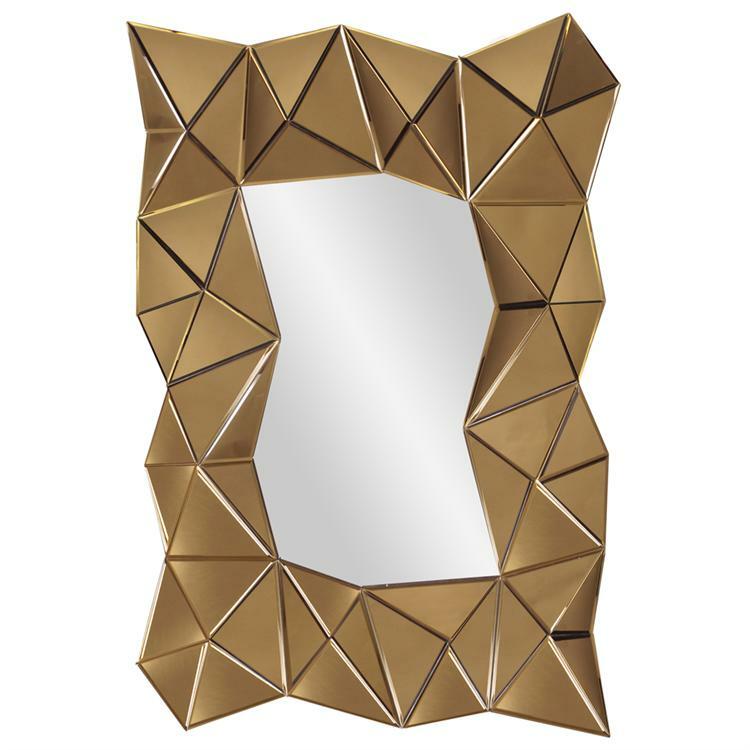 The Vega Mirror is comprised of an interesting puzzle of copper mirrored triangles. They form together to create an asymmetrical frame of movement and style. Each mirrored panel is beveled adding to its style and flair. It is a perfect focal point for any design. The Venus Mirror can be hung in a horizontal or vertical orientation. Customizable for larger orders.